It will unite political forces and coordinate its activities in opposition. The President of Ukraine, Viktor Yushchenko, says contrary to reports, negotiations on building the coalition are still underway. 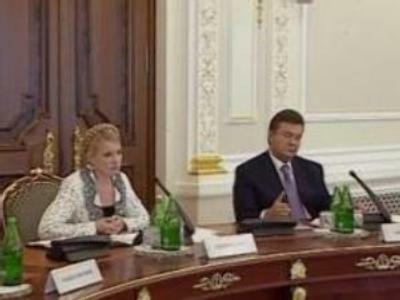 There's still no word on talks with Yulia Timoshenko's bloc on a possible alliance. The president and his prime minister clashed last month after Yanukovich told NATO officials that Ukraine wasn't ready for membership because of a lack of public support. The country has not been invited to the NATO summit in Riga.